I'm a bad blogger. There. I said it. I'm a bad blogger. Well, that's the thing I'm a bad blogger right now, currently only because I know that I'm not trying my hardest when it comes to posting regularly and keeping up with engagement. I really want to but for some reason, I can't. So, in my mind right now, I'm a bad blogger. However, I don't always think of myself as a terrible blogger. Actually, when I'm on top of things I think I can be pretty good at it. Lately, I've found it difficult to keep up with uni life and blogging- the cliche as old as blogging itself; At first, I had my move to the UK to blame for my inconsistency...now, I'm reasonably settled in but just struggling to find the motivation to write the way I want to write. That may not make sense to you, but I have to be in a particular mood to write well. I know I'm going to write a killer blog post that flows as naturally as water in a river when I'm in a particular mood. I've been at this stage of blogging before- the lull stage. Some phases last longer than others but for now, I'm just going to go with it. And that's okay. I just came off my biggest blogging high. The engagement and readership on this blog and across social media platforms were incredible; Those remarkable highs make the lows a bit harder to chew and swallow but they make me appreciate the highs when the crest comes again. So, is there such thing as a 'bad blogger'? The great thing about blogging is that it's a personal thing that isn't dictated by anyone; I like that a lot. For now, by my standards, I'm sucking. But I'm not a bad blogger. The funny thing is that I have a 3 full-page list of blog ideas. The blog ideas are definitely not in short supply. What I'm lacking is the 'magic' that I need to produce a blog post that I love- and one which you will hopefully like. The truth is that most people won't care if you're a 'bad blogger' but the personal guilt is real. So real. I feel incredibly awful for going out and walking around a park at 2AM instead of taking that time to visit my favourite bloggers and tell them what an incredible job I think they're doing. I need to do more of that... but I haven't been which makes me feel worse. Basically, this post has been as scattered as Dadaist art, but my point is this: I'm here and I care. I haven't mastered blogging but I'm working on it. It's always on my mind. It's something I love but I don't love it all the time. So, if you think you're a bad blogger. You're not. You're just doing things your way and that's fine. How is your blogging inspiration at the moment? This is so relatable right now, since I started my new job (a month ago now) I've been struggling to find the motivation to write. I have a couple of post ideas but it's hard to find the balance between working 9-5, having time to myself and writing and then being in bed by about 10. It's hard, but it's okay to be absent from your blog sometimes. I can't believe I'm responding to these comments two months after I first wrote this post. If that isn't the epitome of being a bad blogger, I don't know what is! Agreed! As you said, it's very tough finding the right balance! But, as you also said, it's okay, too! I hope your job is going wlel and that you're all settled in now! Glad you could relate, ST! It's okay not to post consistently. Maybe 2018 will be your year! Have an amazing and inspired 2018! 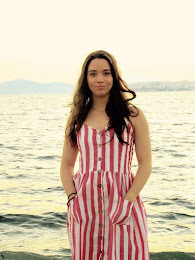 It's a lot to juggle- especially when you want to keep blogging as badly as you want to. Thanks for supporting my blog over 2017, N! That means a lot, Megan! You're right! Haha, living in the moment is the best way to go! Awesome post! (I found you through the Female Bloggers RT's Twitter). I can emphasize with this since I always lack the motivation to write when I'm not feeling well! You found me through Twitter! Welcome! Great post! I relate to this so much as I also need to be in the right frame of mind to write content :) I'm either really on the ball with taking lots of photos but have no writing for it or vice versa haha! Haha, I know what you mean! 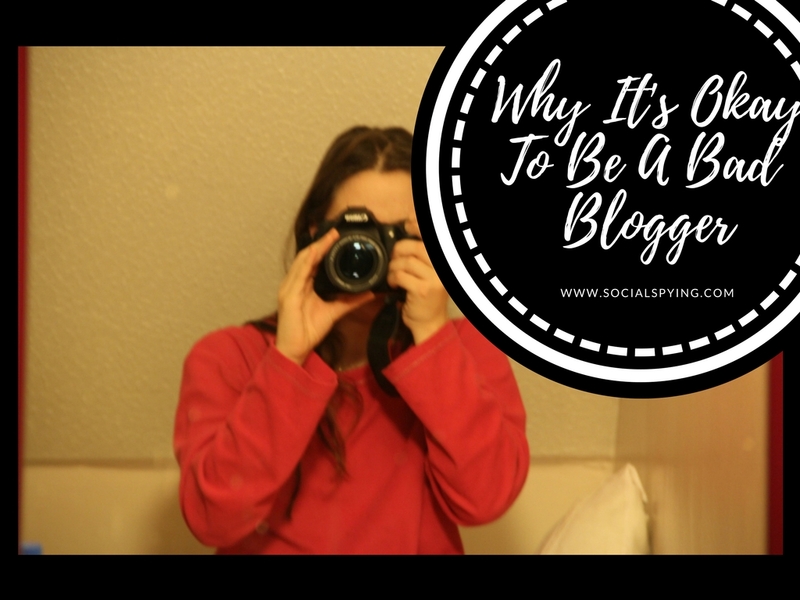 I commend bloggers who can do both photos and content consistently! Maybe 2018 will be our year... or we can only hope! If it makes you feel any better, I took a full year away from writing any posts! Now that I have started it again, I love it, but I do feel that you have to be in the right mindset to do it. It's either all or nothing and I find it so time-consuming! Great post! I've taken many posts since writing this post. I completely relate to needing to be in the right head space!